The tourist boat Marina Srikandi with 32 passengers capsized and sank off Karangasem, east coast of Bali island, Indonesia. The vessel started getting water ingress after crack in the hull and listed terribly to port board. The tourist boat capsized and sank, leaving all the people on board into the water without having time to abandon the vessel. 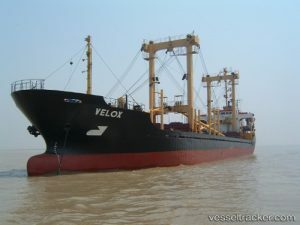 Fortunately all the people were rescued by nearby boats and vessels without casualties and serious injuries. The local authorities started investigation for the root cause of the accident and will check if the boat followed all the safety standards for transportation of passengers. The tourists on board of Marina Srikandi were all foreigners – from Netherlands, France and Australia nationalities. Fortunately all were safe and without injuries. The people will continue their vacation on Bali. 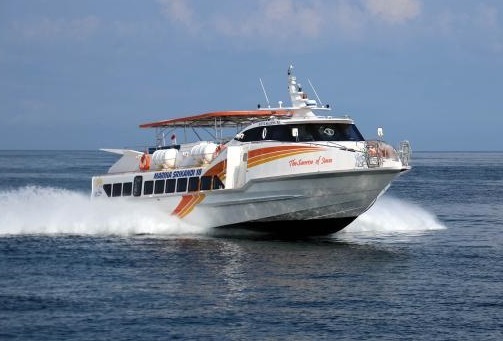 The tourist boat Marina Srikandi was small coastal vessel with overall length of 25.00 m, moulded beam of 9.00 m and maximum draft of 2.50 m. The vessel is making regular routes from Serangan, Bali to Gilis/Teluk Nara in Lombok.